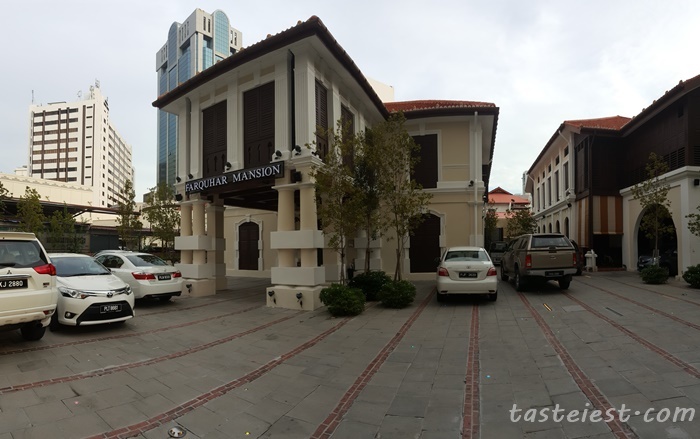 Farquhar Mansion is a well establish fine dining restaurant in Penang, offering great food and environment for a romantic dining experience. 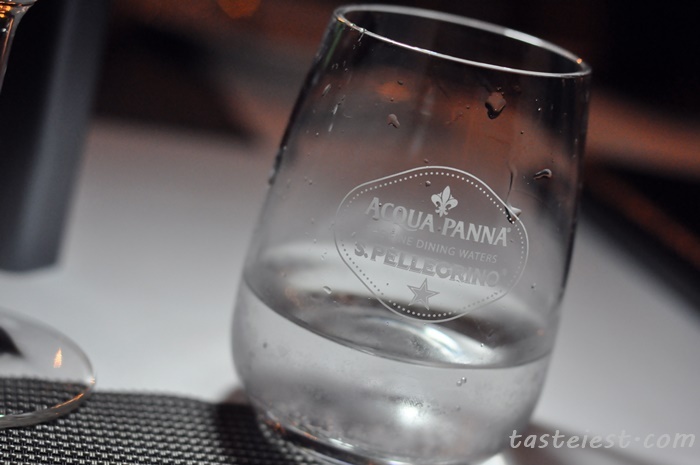 We came here for Farquhar Mansion Dinner and Farquhar High Tea before and never disappointed with the food. 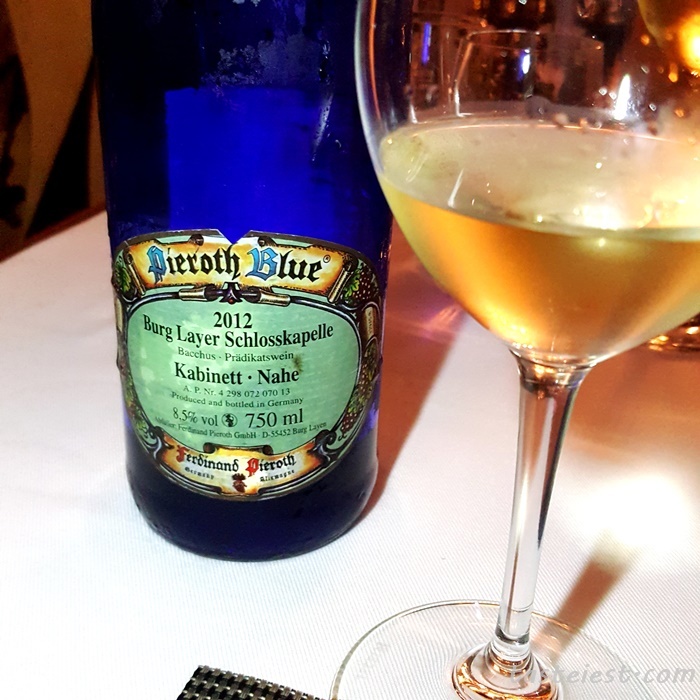 Pieroth Blue Burg Layer Schlosskapelle is a Germany white wine that taste sweet with a mild spicy taste that is easy to accept by most people due to it smooth texture. 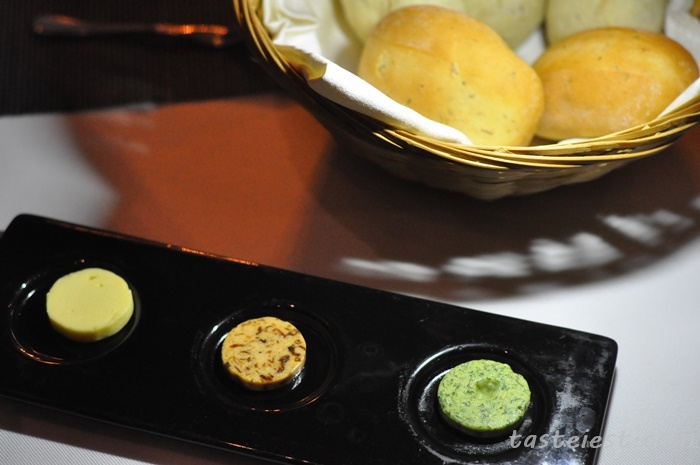 Complimentary bread with butter, it is not typical butter instead 3 different type of home made butter served that each has it own special taste and texture. Amuse Bouchee served are very special in term of presentation, they make it look like soil at the bottom of Amuse Bouchee it is instead edible soil. Among three item we had are Cod Ball mix with Bearnaise and Potato Noodle on the left. 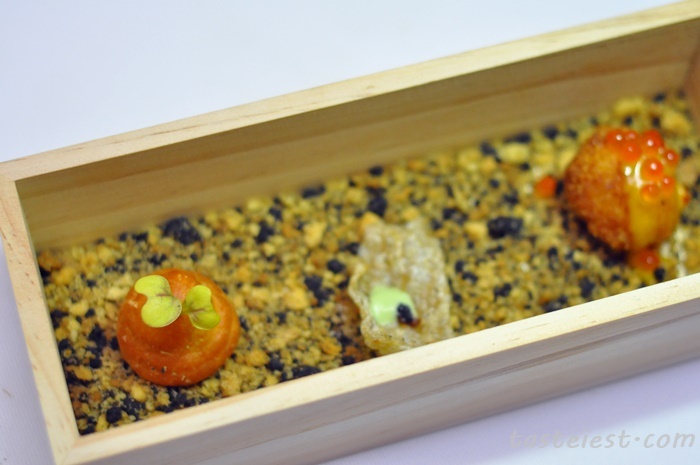 In the middle is Salmon Skin, Ebiko and Micro Greens while on the right is Potato, Cream and Black Olive. 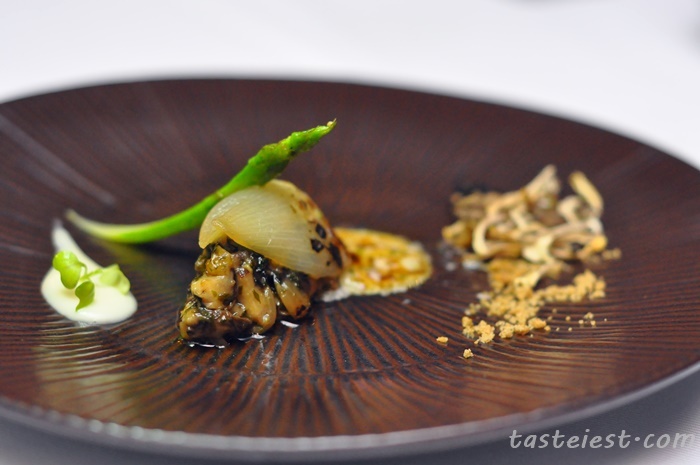 Mushroom Terroir is all about mushroom where assorted mushroom are use to create varies dishes and incorporate together. 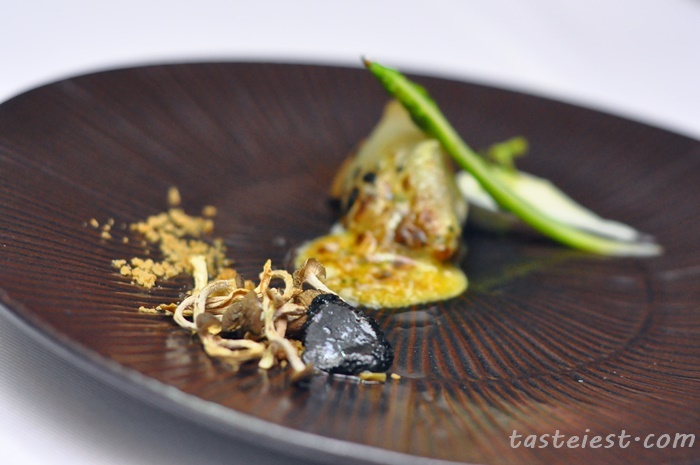 Sauteed Portobello Mushroom with caramelize onion, top with asparagus served with dried mushroom and a slice of truffle. Foie Gras Flavor, if this will to served on other restaurant than probably it will be on the main dish menu but at Farquhar they make it as appetizer, a big portion of appetizer, a big piece of Foie Gras. It is perfectly cook to crispy texture while maintain juicy inside, it served with Apple Chutney, Foie Grass Foam, Berries Brioche, Port and Wine Emulsion. 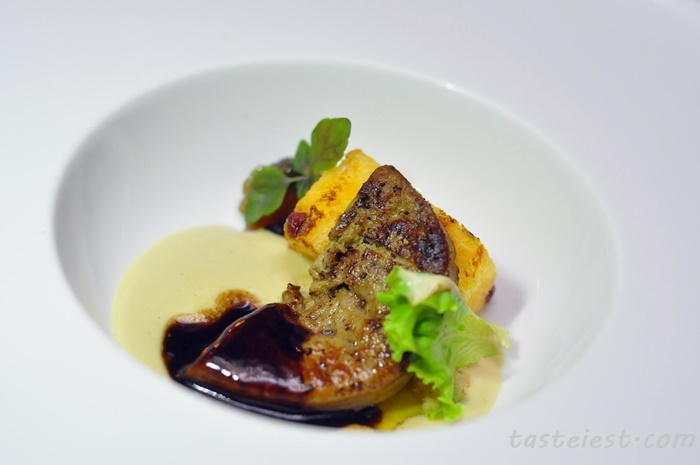 It has extremely strong Foie Gras fragrant and taste extremely good. 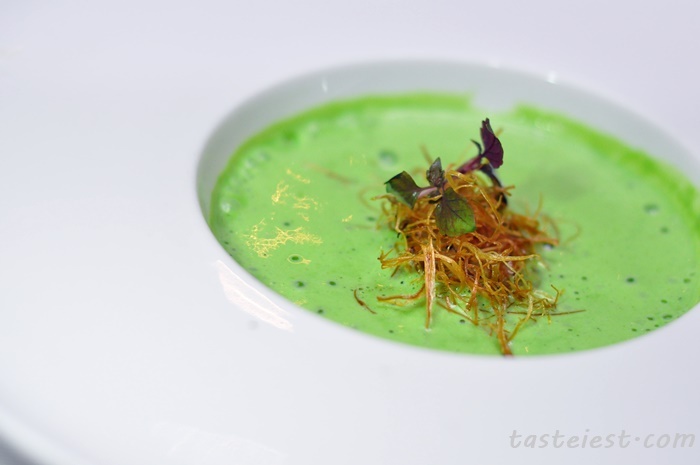 Broccoli Espuna is a refreshing soup that at first taste refreshing and green but a feel scoop later with a oyster inside it make the soup taste thick with oyster freshness taste. Air Dried Leek on top gave a sweet boost to it flavor. 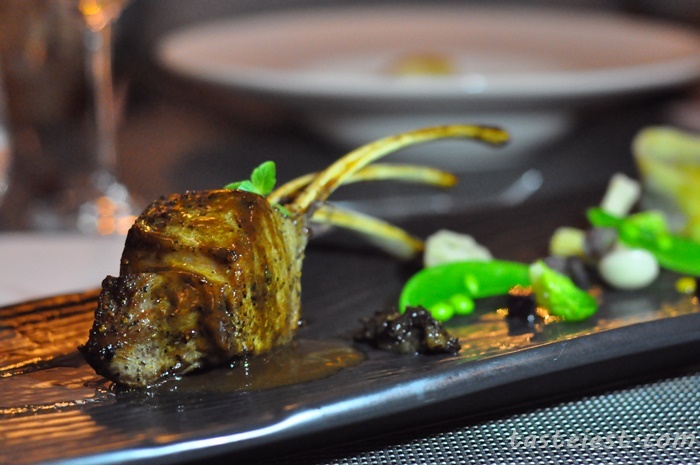 Premier Australian Lamb Rack RM258, served with Ravioli, Roasted Beef Root, Chutney, Sweet Pea. Chef recommend medium and they did it extremely well, it is perfectly seal and cook to perfection in term of texture and flavor. 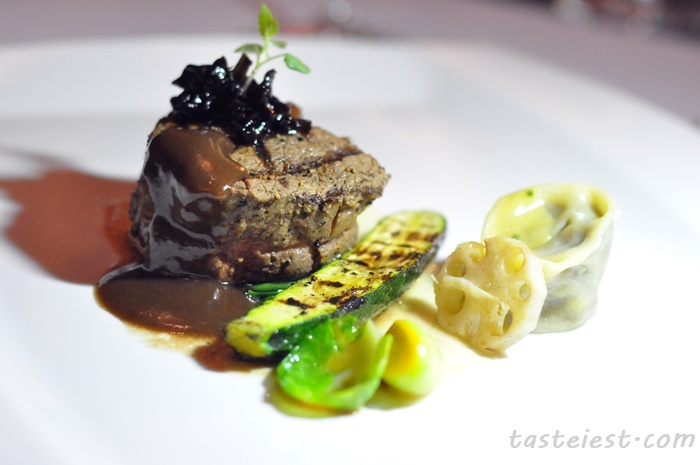 Black Angus Tenderloin RM288 served with Beef Cheek Raviolo, Potato Cream, Onion Jam and Asparagus. I like the thick cut of beef as it best in contain the juiciness while preserved the beef natural sweetness, we had medium and again they did well in cooking the beef. 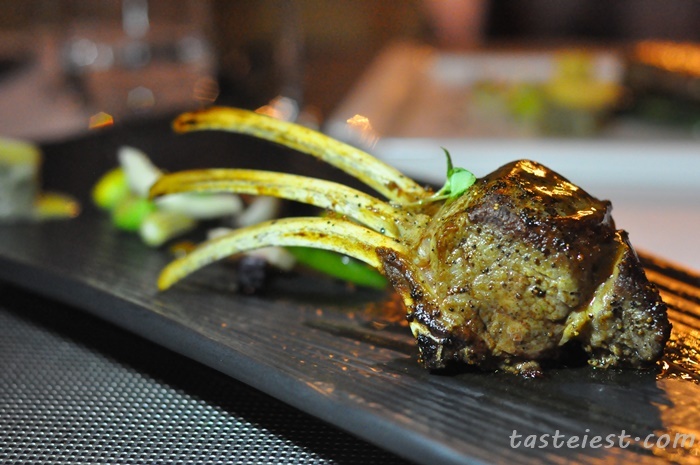 It is so smooth in texture and simple cook it good enough to bring out the best taste of beef. 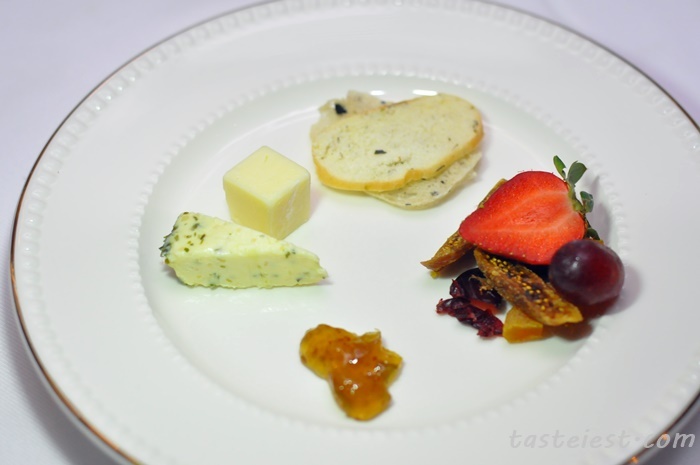 Cheese Platter served with assorted Cheese, Grape, Apricot and Fig Jam. Taking cheese with grape is always the best option as both create a great combination in term of taste and texture. Mango is the dessert name that make it look like only a piece of Mango but it instead has a great variety of mix dessert in a plate with awesome presentation that make it look so colorful. 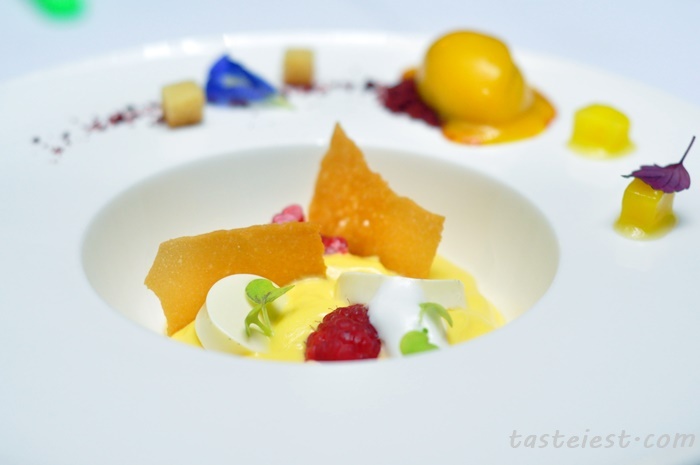 Included in the dessert plate are Mango Coconut Cheese Cake, Mango Compote, Mango Sorbet and Panna Cotta. No. 33, Lebuh Farquhar, 10200, Georgetown, Penang.